Agreeably it's been a sour week no matter on which side of the political fence you may sit. Even for those of us that don't 'politic', social media feeds are bursting at the seams with so many newly determined 'expert' opinions as we all participate in this funny little thing called democracy. But guess what? I have no political agenda here except to say a spoon full of sugar, helps the medicine go down. Not to say last week was any dose of medicine, in fact, it was much more like a punch in the stomach, if you ask me. But, no politics here, just candy, candy, candy! 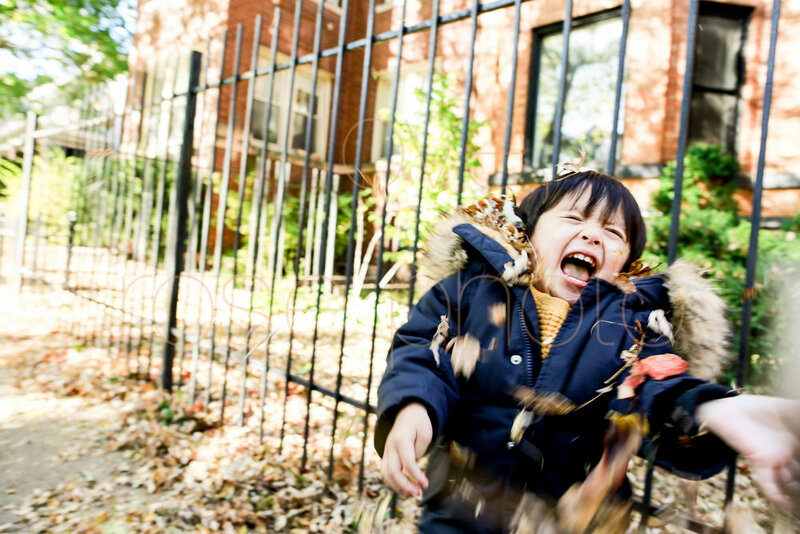 I've been photographing kids for almost 10 years and though I have no tiny humans of my own, I'm an avid fan of bribing children with the proverbial carrot. My mom did it to me and I turned out ok... I think! After all, toddlers can be tiny terrorists and you must be able to negotiate in real terms with these people. 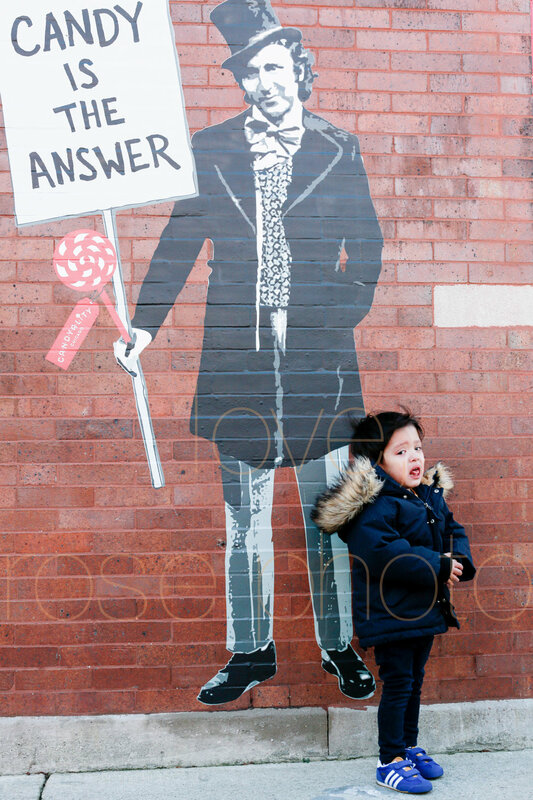 This little guy was definitely off to a rough start when we met up in Andersonville last weekend. So I asked Spencer what his favorite candy might be. Moments later we just happened upon a perfect little storefront of the aforementioned sugar graft. 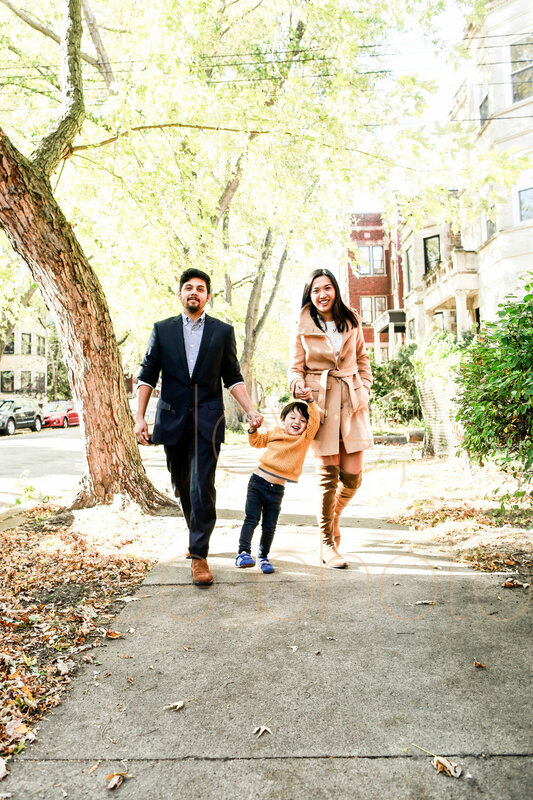 Needless to say, he was like a kid in the candy store and the carrot worked charmingly as we stepped out to the sweet, tree lined streets of the 'Ville for the remainder of our family photo session. 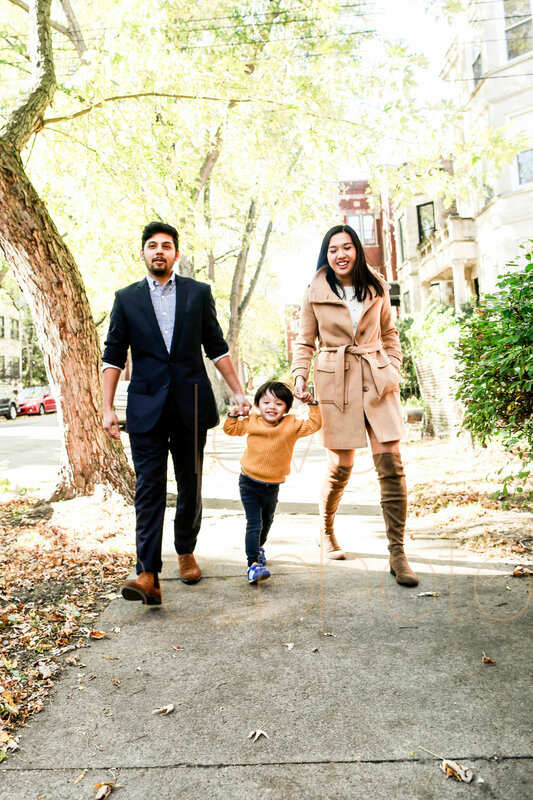 A few M+M's and a Chupa-Chup lollipop later, this kid rallied and turned out some super cute photos with his stylish parents! Lifestyle imagery aims to be super authentic and equally as charming. I think this set, albeit made possible by fair levels of sucrose & negotiating tactics, is sweet as pie. See for yourself and if need be, take your own spoonful!